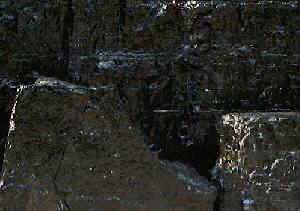 Flame Safety Lamps - These are the most recognizable types of miners lamp. They come in various shapes and sizes. Their invention is generally attributed to Sir Humphrey Davy in 1815. 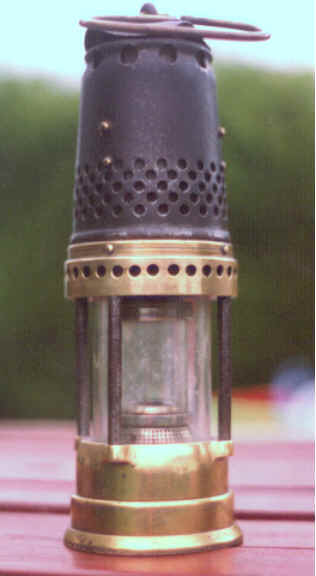 However, Davy's was just one of three safety lamp designs that were developed almost simultaneously. The other designs being those of George Stephenson and Dr. William Clanny. 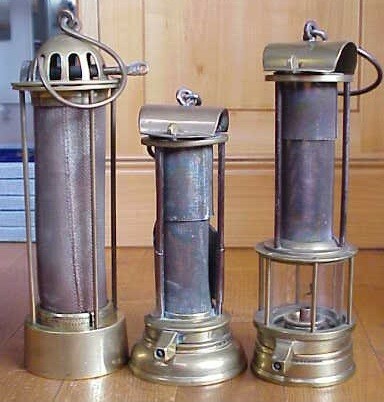 Three early flame safety lamps - From left to right Stephenson , Davy & Clanny Types. Although there were several subtle differences between the three early forms of flame safety lamp their designs all took advantage of one common principle. All three designs consisted essentially of a naked flame placed in a suitably constructed metal gauze funnel surround. Even when placed in an explosive mixture of methane and air the safety lamp's flame will not be explosively propagated through the apertures of the gauze mesh. Thus any minor localized explosion of mine gasses within the safety lamp will be confined to within the gauze and thus can not spread to the surrounding mine galleries. The earliest safety lamps lacked the familiar protective steel bonnet which was to become their trademark in later years. A Bonneted Jack Davy lamp plus a Gauzeless Best lamp. 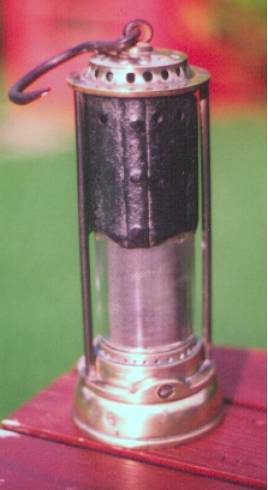 Although the comparative luminosity of the flame safety lamp was only between 0.1 and 0.8 of a naked flame candle they were to remain the only safe form of mine lighting in "gassy" mines for nearly 100 years after their invention. By the 1920s/30s the unchallenged reign of the flame safety lamp as the principle means of colliery lighting was rapidly coming to an end. This was despite a last attempt to promote their continued use via the introduction of improved higher luminosity types offering a lighting equivalent of 3.0 to 3.5 (or 4.0 to 5.0 with a flame reflector) candle power. Even after having lost their premier position as the preferred choice of mine lighting the flame safety lamp continued to be used routinely thereafter by colliery officials as a reliable means of underground gas testing. In the presence of varying amounts of methane in the mine's atmosphere a safety lamp's flame will take on a very distinctive shape and form which is indicative of the levels of methane in the mine's atmosphere. Above 5% methane levels the safety lamp's flame will become explosive and likely to self extinguishing. 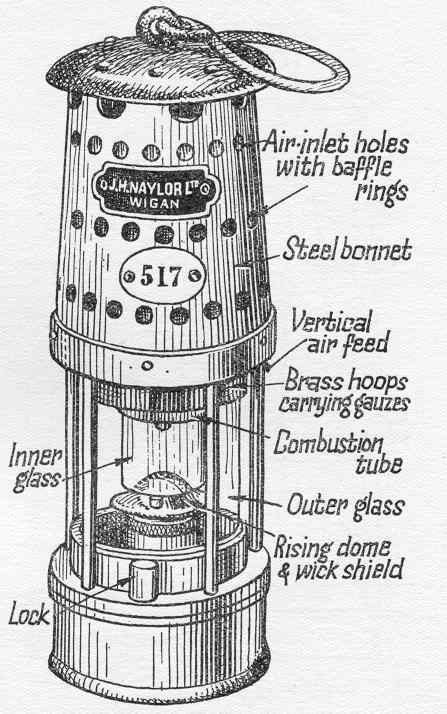 The principle features of the Naylor (Wigan) High Candle Power Flame Safety Lamp.